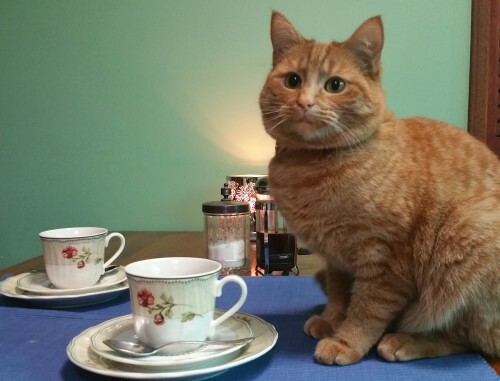 Fancy a cup of tea with a certain ginger former Prime Minister? Or, rather, her cat namesake? Or perhaps you live in a flat with a “no-pets” policy and you sorely miss your kitty back at your parents place? Or is your partner allergic to cats so there’s no way you’ll ever have your own? 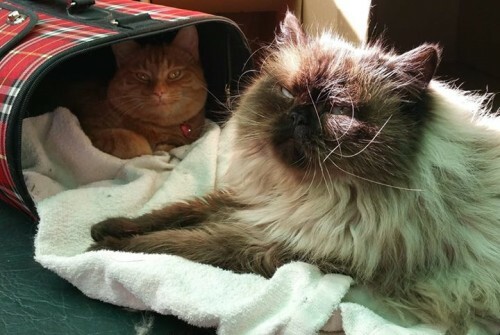 Well, if you’re in Canberra, you’ll soon be able to dine with some celebri-cats at the Capital Cat Cafe! The cafe is hoping to get up and running soon in hipster Braddon with the help of their IndieGoGo campaign. Some of the awesome rewards include your name on the wall of honour in the cafe for all eternity for only $20! This is an awesome reward for someone who can’t make it to Canberra but wants to support the kitties, or who just wants that kudos of all their mates seeing their name with envy every time they sup with (Sir Robert) Menzies. OMG the look on Julia’s face in the first photo. So cute! I’d love to go to a kitty cafe. We don’t have any pets right now, so it would be lovely to pat some furballs!